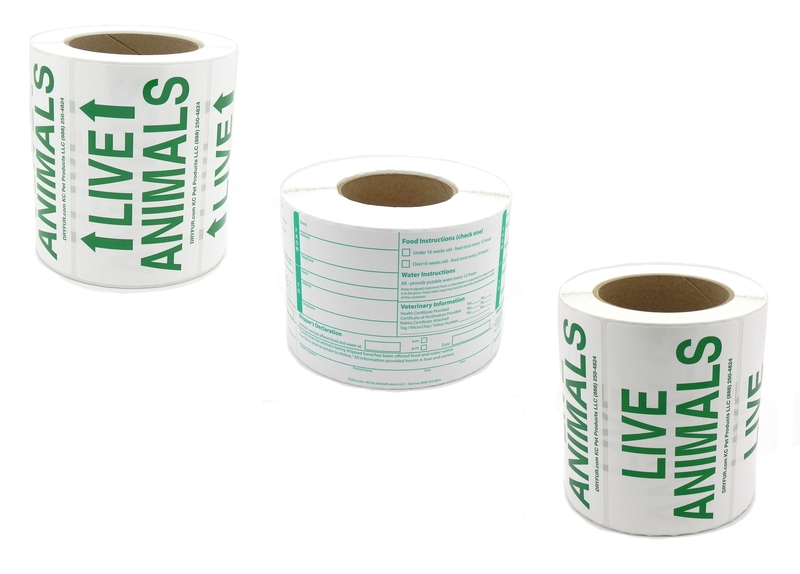 Live Animal labels and stickers for shipping pets in kennels, carriers, crates and cages. IATA USDA and Airline Approved. Required by airlines for traveling pets. Available in single sets, bulk sets, bulk rolls and custom printed. 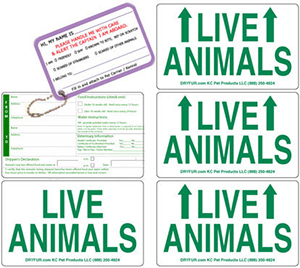 Set of 6 IATA Green Live Animal - Species Labels - I.A.T.A., D.O.T., U. S. D. A. and I.C.A.O.